Below, find all homes for sale in Delhi Township or use the search function above to search all MLS listings with your specific criteria. Click for a detailed market report on the Delhi Township Ohio Area. "The Floral Paradise of Ohio"Delhi Township is a suburban community with a population of 30,765, as of 2011. Located in Southwest Ohio's Hamilton County, Delhi was established in 1789, and was a rural community until just after World War II. 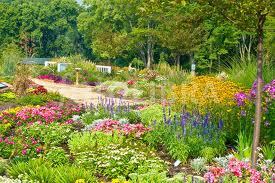 The Township's motto, "The Floral Paradise of Ohio", dates from this earlier era, when the Township's landscape was dotted with greenhouses. At one time these greenhouses were a major source of the nation's carnation stock. Since World War II, Delhi has experienced a transformation from a pastoral, agricultural community into a quiet bedroom community that emphasizes neighborhood and family. Houses located in Delhi Township are within the Oakhills School District. Contact Lynn Murphy Dickerscheid of ReMax Elite 513-885-1673 to view any of the fine homes for sale in Delhi Township. If you are considering selling your Delhi Township home, contact Lynn today to see how she can market your house so that you receive the most money, in the quickest time, with the least hassle.